We began rehearsals for the 28 April Concert on Tuesday 8 January 2019 at High Church, Hilton (7:30 p.m. - 9:30 p.m.) and rehearsals will continue at the same times at the same venue, except for Tuesday 12 February when there will be no rehearsal, until approximately six weeks before the performance, when the venue will change to St Machar's Cathedral, with a two week break during the school Easter holiday. On Tuesday 16 April, the rehearsal venue will be St Margaret's School, Albyn Place (School gym). There will be rehearsals in St Machar's Cathedral in the afternoons of Saturday 27 and Sunday 28 April. 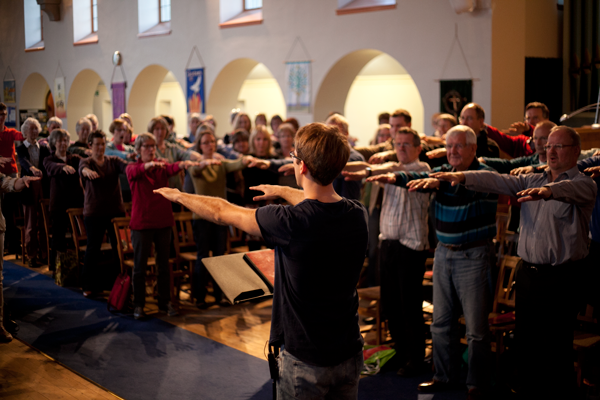 Ideally, you should attend all rehearsals but if you miss more than three regular Tuesday rehearsals you will need permission from Musical Director Peter Parfitt before you can sing in the performance. Attendance at the two rehearsals on the weekend of the performance is compulsory.